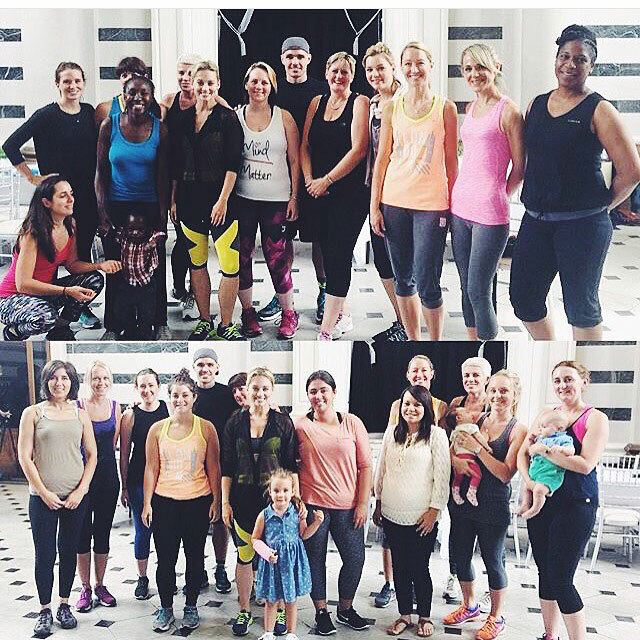 I was invited along to check out the new fitness exercise programme created by Kimberly Wyatt for new mums to get fit after pregnancy. The event was to give a few “mums” a taster session of Kimberly’s new workout for #newmumfitness and campaign #MumOnAMission followed with a Q&A with a panel of fitness and kit experts. Working with Kiddicare, the event was keen to explore the challenges new mums face when returning to exercise after giving birth. Putting on weight during pregnancy is very natural and normal for the majority of women, but after your little bundle has arrived and you have recovered from the initial euphoria of having your baby, you may start to think about returning to your regular wardrobe and moving away from maternity clothes. Keeping yourself healthy and fit before, during and after pregnancy is important for any new mum. This event was great fun, I am not unfortunately a new mum these days, but I am a mum and I still want to discover a way to keep fit in my very busy life. Once you become a mum your life will be busy, at different stages you will have different levels of fitness, often down to the fact that you may be going without a good night’s sleep, rushing around caring for toddlers and generally struggling to fit exercise into your daily routine. Oh dear, that sounds so like me! Like so many exercise programmes, it takes commitment to get started, sadly I often find myself lacking in this in my life, as I say “there is always next week..” but I was surprised at how much I loved the new programme from Kimberly. I do not exercise much, in fact not much at all really, so the thought that I might be able to do this in 24 mins a day really appealed. Lined up and ready to go, the exercise programme started. Well to say it was uplifting would be an understatement. I really enjoyed the pace that was set, it was manageable and easy to follow. But it was not easy, I could feel every muscle being used, but I really liked the simplicity of the exercises. The exercises were very easy to follow, although I did lose co-ordination a couple of times, I am sure after a few times that wouldn’t happen. The exercises got my muscles scrunching, my heart beating and my smile bigger and wider than it has been for a long while. There was a hosted panel after our exercise programme where we could ask questions. I asked quite a few! and there were many great questions being asked about pregnancy, diet, exercise during and after pregnancy and way to consider having a holistic approach to your pregnancy and health.